It is obvious Senator Dino Melaye's recall process doesn't bother him, baba is seriously flexing....no time! He shared this picture above on his Instagram page with the caption; "What stopped others can not stop me. I've got God". The Nigerian senator is still battling with recall process from members of his constituency in Kogi west senatorial district. 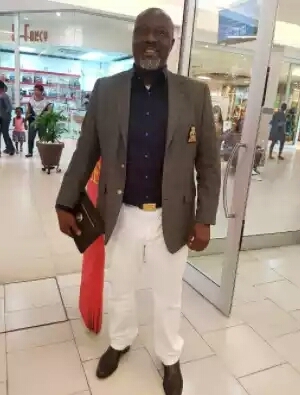 0 Comment to "Unbothered Senator Dino Melaye shares new picture amid recall process"